This is a picture of the newest addition to my art collection. 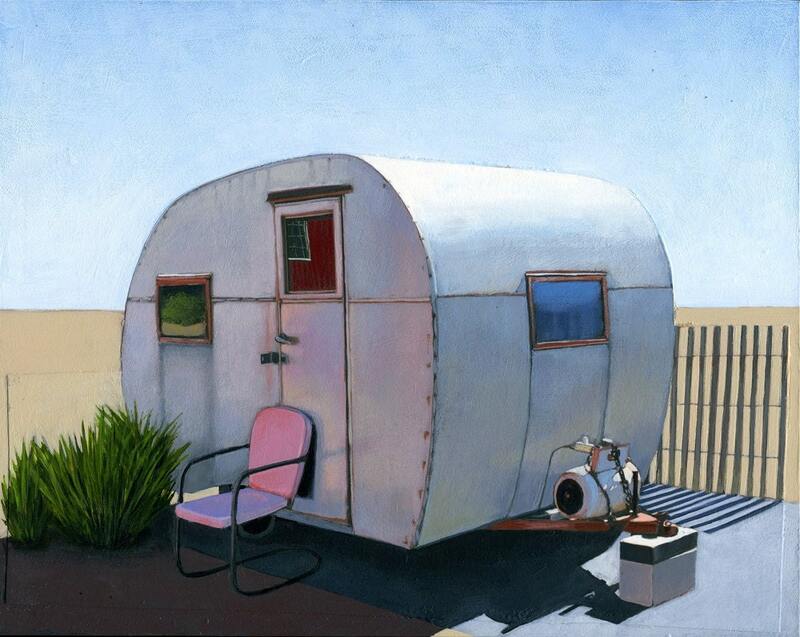 It's a 8 x 10 print titled "Desert Camper" from Leah Giberson. I mentioned Leah in my Junky Trinkets shopping guide a few weeks back. I received this great print from my parents as one of my Christmas gifts from them. Great taste! We actually used to have a camper very similar to this when I was a kid. I remember that we took it to Chaco Canyon in New Mexico one time and when we got there it was filled with dirt! Good times. Sweet Pic. How was the Christmas Party?